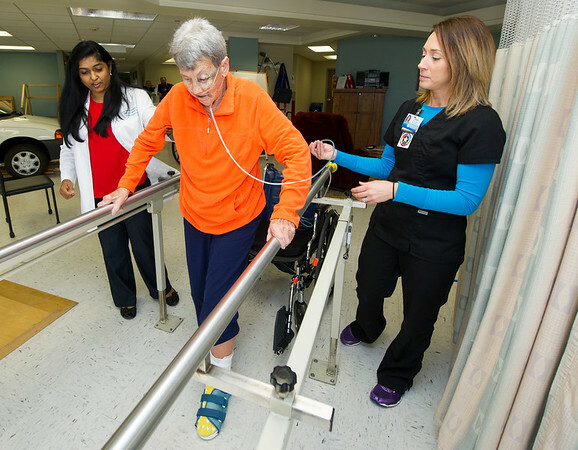 Dr. Rebecca Jeyaseelan, left and Freeman East Occupational Thearapy Assistant Sarah Eitemiller Assist June Morris with rehabilitation inside the Freeman Rehabilitation Unit last week. Morris was rehabbing from arterial bypass surgery on her leg. The unit focuses on rehabilitation in a practical setting, which includes staff assessing patients' abilities to perform everyday activities.